The mirror ball effect is back! 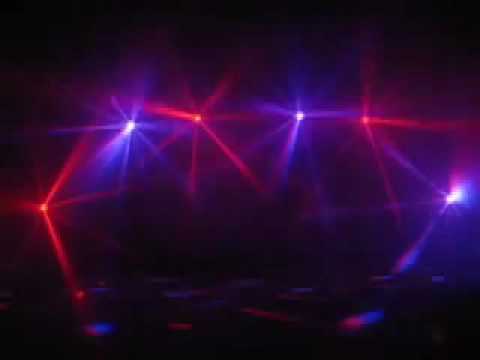 This club effect from the '70s has been re-invented and now comes with 3 DMX channels and it's even brighter than ever! A powerful 3W RGB LED is located inside a rotating spherical case and projects pin sharp beams around a room like a multi-colour mirror ball. Ideal for use as a centrepiece, this unit projects 34 pin sharp, powerful, brilliant coloured beams, which rotate, flash and change colour around the walls, ceilings and floors, giving a wide room coverage. All of the unit's beams are produced from one high power 3-watt RGB LED light source and can be controlled via any DMX-512 controller or run by its own internal programmes in Master/Slave mode. Considering purchasing the Acme RGB DMX Astro Mirror Ball Effect? Have questions? Ask people who've recently bought one. Do you own the Acme RGB DMX Astro Mirror Ball Effect? Why not write a review based on your experience with it. 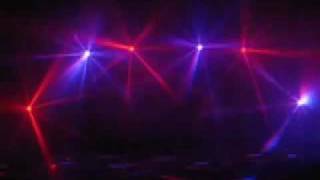 Seen a video for Acme RGB DMX Astro Mirror Ball Effect online or have you own video? Check out Acme RGB DMX Astro Mirror Ball Effect on DJkit.com!